If you’ve been looking for great kids’ content for your iPad, Grover and his pals from Sesame Street have you covered. Today, Sesame Workshop announced that a collection of over 60 Sesame Street e-books would be made available via Apple iBooks for the first time. The collection contains books on a wide array of subjects, from Elmo’s Christmas Countdown to Big Enough for a Bed, Too Big for Diapers. Each features Read Along audio narration, where words are highlighted on the virtual page as they’re read aloud. All are available for download on an iPad, iPhone or iPod touch. Even if you’re short on cash, Sesame Street’s new e-book collection is worth a look. For the next week, the Halloween-themed book Which Witch is Which? is available for free download. Other books in the series run between $1.99 and $5.99. 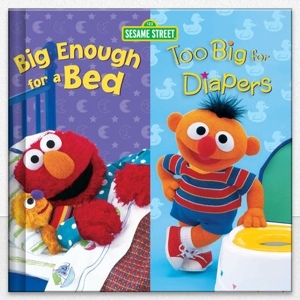 To see what books Sesame Street has to offer, check out the collection at itunes.com/sesamestreetbooks.